Our latest short video is finally online! 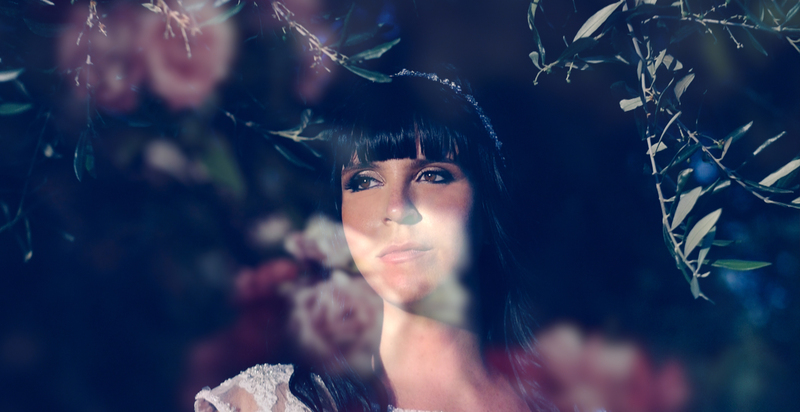 We are so in love with the exotic beauty of this gorgeous lady filmed at Palais Namaskar in Marrakech. Set among luxurious gardens, golden sunset light and the most stylish decors, our latest Moroccan Bridal Inspiration Film really is a dream come true. Our biggest hug goes to the top team who involved us in this magical adventure. We are thankful to each and everyone of you! 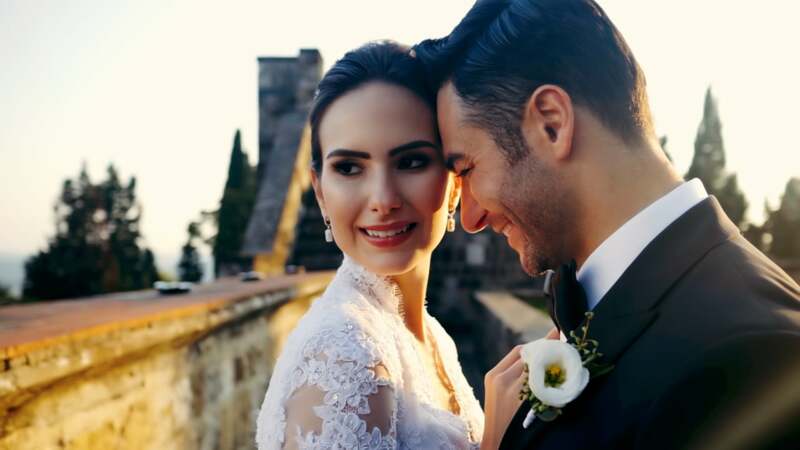 Our first post of 2019 is from this wonderful couple we were so lucky to film at Castello di Vincigliata and St. Regis Hotel in Florence! We really cannot wait to meet all our new Clients in the next months and to work in some beautiful venues all around Italy. But first, let's keep sharing all the very best from the past year! We are finally sharing a short clip from the last wedding film of the past season! This intimate American wedding held at San Galgano Abbey in Tuscany really stole our hearts. Sending much love to our wonderful Taymi & Jovan from Miami and to all the amazing professionals who shared this glorious day with us! Thank you so much Smashing the Glass for featuring Lital & Andrea's multicultural Jewish wedding at Villa Medicea di Lilliano near Florence, Tuscany! We loved working with super fun couple from Beverly Hills and all top team! Did you already check out the short video from the last elopement wedding we filmed in the spectacular Borgo Santo Pietro Luxury Relais and San Galgano Abbey in Chiusdino? 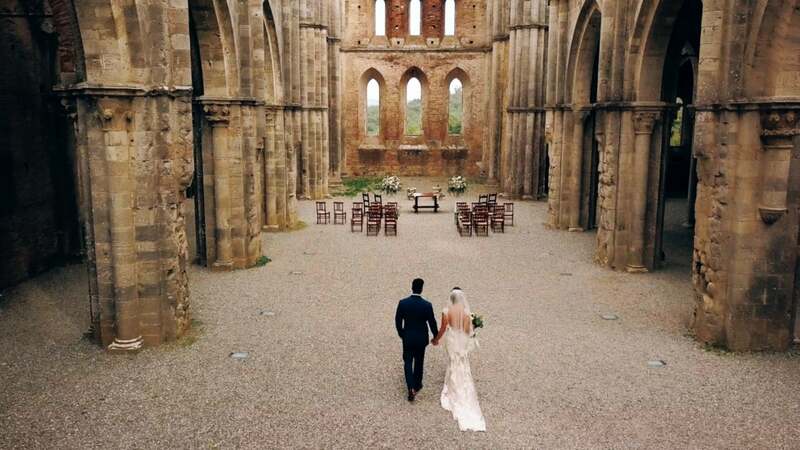 We will never get enough of the beautiful atmosphere during the garden ceremony by the lake and the soft light in the worldwide famous roofless San Galgano Abbey! Last year soon after the end of the wedding season we flew to Gran Canaria in Spain to partecipate in something completely new for us: a honeymoon inspirational shooting on the breathtaking beach dunes of Maspalomas. 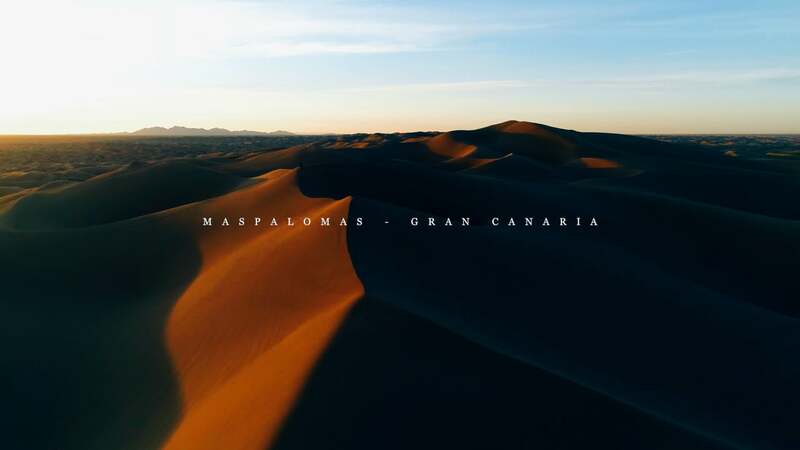 The shooting took place on the beautiful sand dunes in Maspalomas, Gran Canaria. This is one of the seven of Canary Islands, a destination for holidays very popular in Europe and almost unknown abroad. This gorgeous wedding at Villa Le Maschere near Florence will forever hold a special place into our hearts! Here's just a short film from Alex and David's super stylish wedding day shared with an amazing team. Indian vibes at Four Seasons Hotel in Florence are simply the best! Folk dances, vibrant colors and an incredible fun party in one of the most suggestive wedding locations in Florence are just some elements of the elegant destination wedding Meena and Nolan celebrated in Italy. This two days of festivities started with the painting of the hands and feet of the bride called mehndi ceremony and a party where each side of the family met each other, danced and had fun. The celebrations proceeded with a touching outdoor ceremony. Nolan and Meena exchanged beautiful garlands in a dream scenario: can you believe the majestic Duomo of Florence was their backdrop? We are so happy to close this year sharing the unforgettable destination wedding of Martina and Ryan at Villa La Vedetta in Florence: every part of this wedding was just a dream! Martina & Ryan from Australia fell in love with Villa La Vedetta the moment they stepped onto it. With its extraordinary view over Florence, it's an incredible venue for a romantic wedding. The palette was soft, with blush and white flowers; the beauty of Florence was the perfect backdrop to celebrate a passionate love story in Italy. And now enjoy Martina and Ryan's wedding film! We are on Style me Pretty again today with a stunning inspiration shooting we filmed last May in Tuscany! Thank you to the amazing Photographer Darya and Wedding Planner Daniela for inviting us to take part in it and to all the talented vendors for their beautiful vision and hard work. This shoot is full of colors, creativity and inspiration for a dream wedding in the hills of Tuscany: it takes place at Il Borrolocated in the heart of Tuscany, however not far from the city of Florence. We were so impatient to show you this one-of-a-kind bridal style inspiration we filmed at Bagni San Filippo in Tuscany early this April and seeing it live on Style me Pretty today is a dream come true! 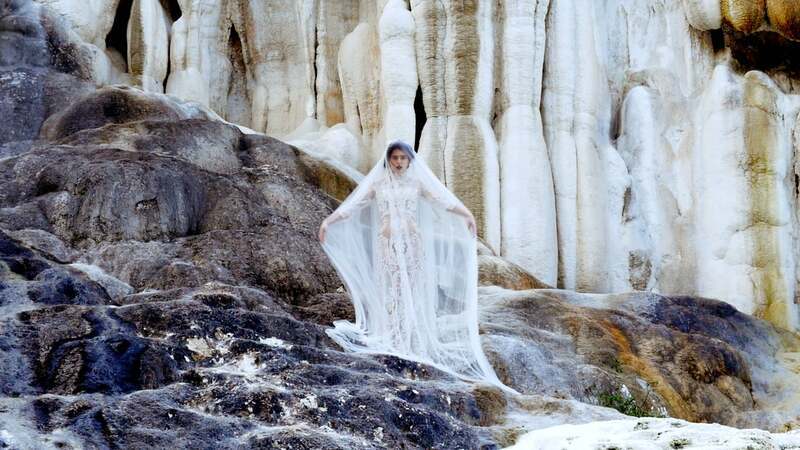 Inspired by the elements of nature like water, rocks, greenery, wild flower and natural light, we imagined the bride as an ethereal nymph rising from the natural baths hidden in the wood. It was a real challenge for us to film on the several rocks and pools and we will never thank Camilla Cascino enough for involving us in this unforgettable project! Time to share something new! So happy to finally post a short wedding video from one of the several weddings we filmed this year at the beautiful Villa Le Fontanelle in Florence. Thank you to the lovely Reena & Matt and to the wonderful team for bringing to life this little gem of a wedding! We are so happy to finally share with you this glamorous castle wedding in Tuscany! 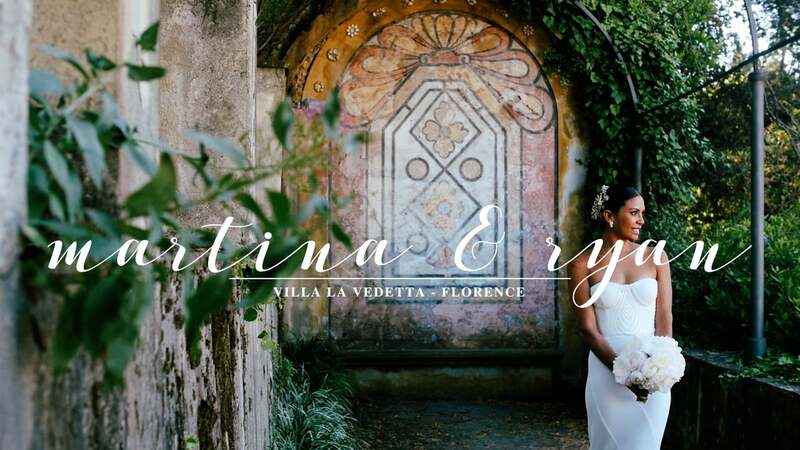 Bianca and Niko from Cayman Islands chose to celebrate their destination wedding in Italy in a spectacular scenery: Castello di Vincigliata, a unique medieval castle perched on Fiesole hills. The decor was all in black and gold, with a delicate touch of white flowers. 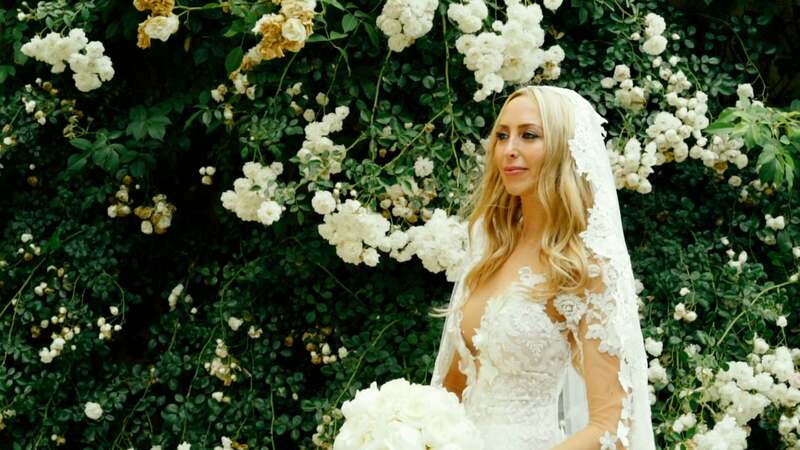 You could't be impressed by Bianca's bouquet: it was all made of jewels! Enjoy Niko and Bianca's wedding film! 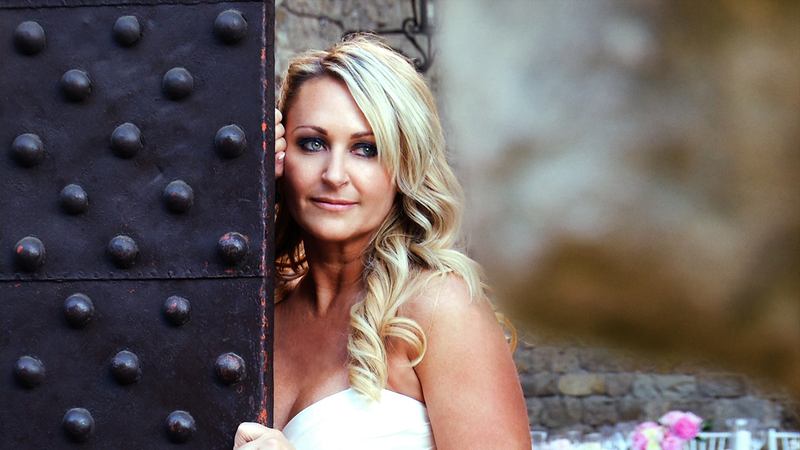 We are on "Style me Pretty" today with a country chic wedding in the Tuscan countryside! 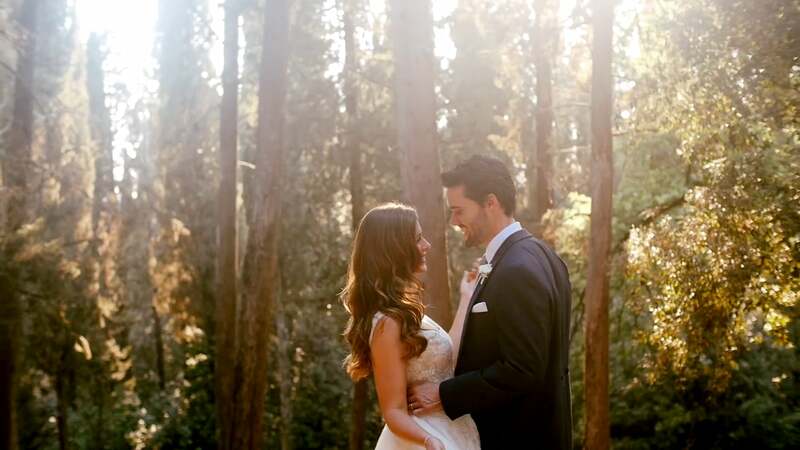 This wedding is truly spectacular: the warm September light gave the wedding video a magical atmosphere. Michelle and Ryan, a Florida based-couple, chose Casale de' Pasquinelli as they always dreamt to have a rustic wedding surrounded by nature and trees. They wanted to spend some great time with their loved ones enjoying amazing food, delicious wine and gorgeous surroundings. We are on "Rock my wedding" today with Julie and Alex wedding film at Castello di Vincigliata: you'll swoon over this passionate wedding with a romantic touch! 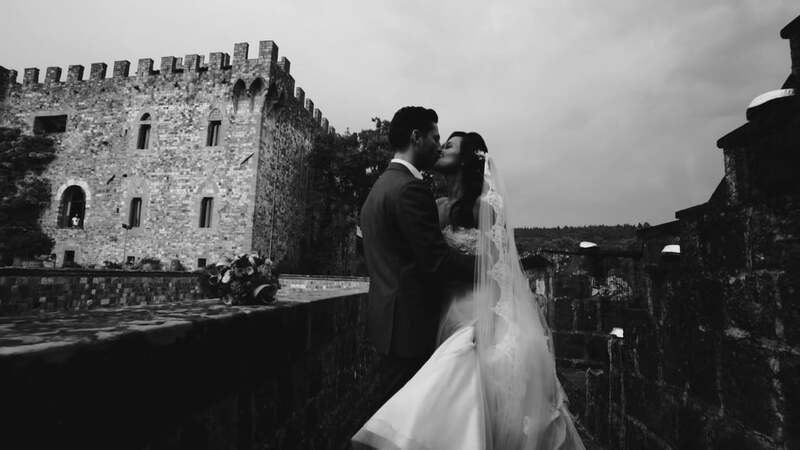 As wedding videographers based in Tuscany, we know every corner of this marvelous castle: Castello di Vincigliata is a dreamy scenery for a wedding video and working with a lovely sweet couple as Julie and Alex made our job easy and fun. One of the magical moment of the day was the first look with Julie's veil blowing all around them in the wind! Vincigliata Castle from the top is just amazing! Have you seen the latest wedding video we filmed there last june for the incredible destination wedding of Katy and Charlie? Here's just a little sneak peek from an unforgettable day enriched by the softest golden light and the most beautiful Tuscan landscape just outside Florence. 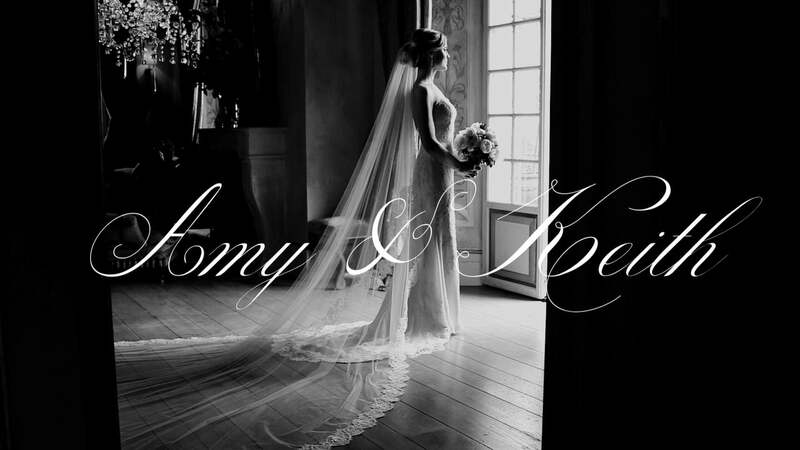 Enjoy Katy and Charlie's wedding video! The new wedding season has already started in Italy two weeks ago, but we still have a few exciting wedding films from the past one to share. Thank you so much Jenny & Enrico for traveling all the way from London to plan an authentic dream wedding on the Italian riviera! 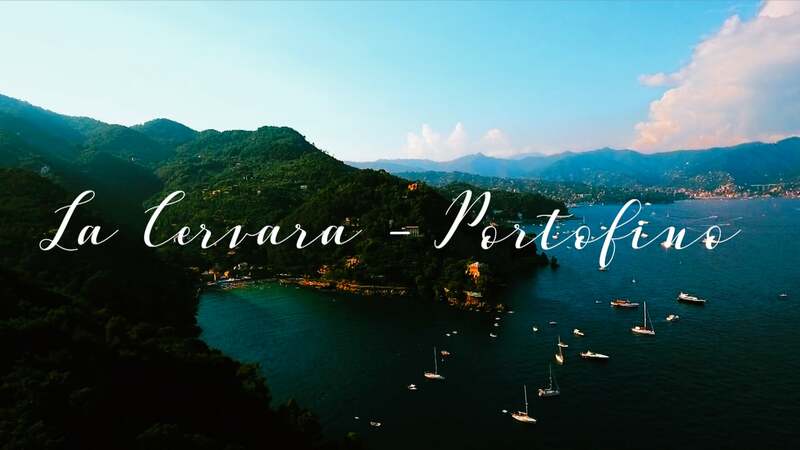 That was our first experience as wedding videographers in these breathtaking gardens overlooking the Ligurian sea; we heard so much about the stunning venue La Cervara in Portofino before and as wedding videographers our expectations were not disappointed in the end! You all know we are big fans of intimate destination weddings simply perfect in every detail, and this beautiful wedding at Belmond Villa San Michele in Florence (Tuscany, Italy) is no exception at all! 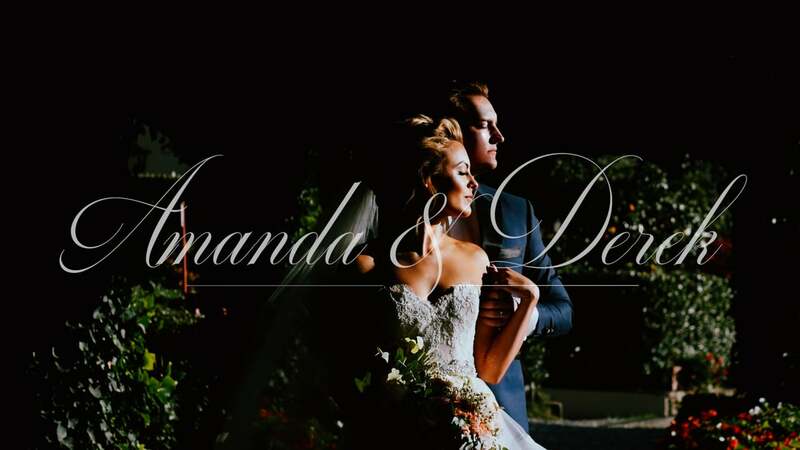 With a sentimental outdoor wedding ceremony, a soft late summer light and the prettiest colour scheme, Amanda e Derek's wedding was nothing but adorable. Thank you for being the most romantic couple in the dreamiest Italian venue - your wedding day will be one to remember for sure! Enjoy their wedding film now! We are on "Wedding Chicks" today with a truly unique destination wedding in Italy! Laura and Andres' wedding took place at Villa Le Piazzole, a 17th century villa nestled in the Tuscan hills atop the beautiful Renaissance city of Florence. The wedding ceremony took place in the garden, a picturesque setting for this romantic wedding! Every detail was personalized: from the travel themed invitations to the fans to keep the guests cold under the Tuscan sun. 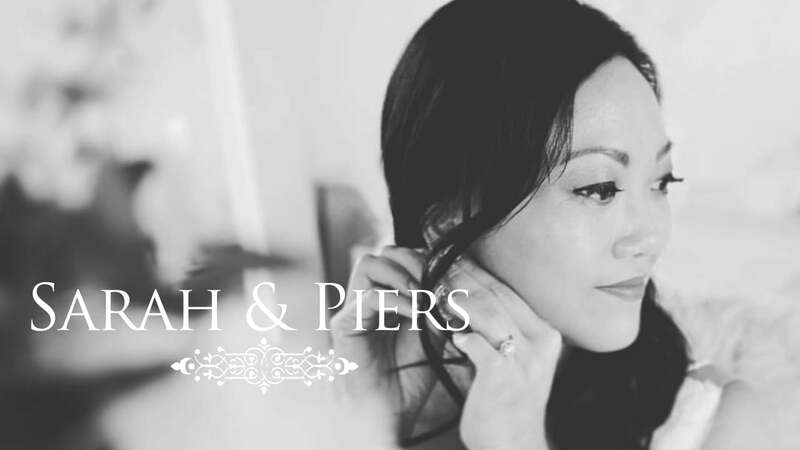 We are very happy to announce that Sarah and Piers wedding has been featured on the prestigious wedding blog "Grey likes weddings"! Sarah and Piers from UK decided to get married in Italy: they chose a beautiful winery estate in Tuscany called "Conti di San Bonifacio". With its idyllic gardens overlooking vineyards and hills, this exclusive and unique location was voted among the top destination wedding venues in Tuscany and Italy. 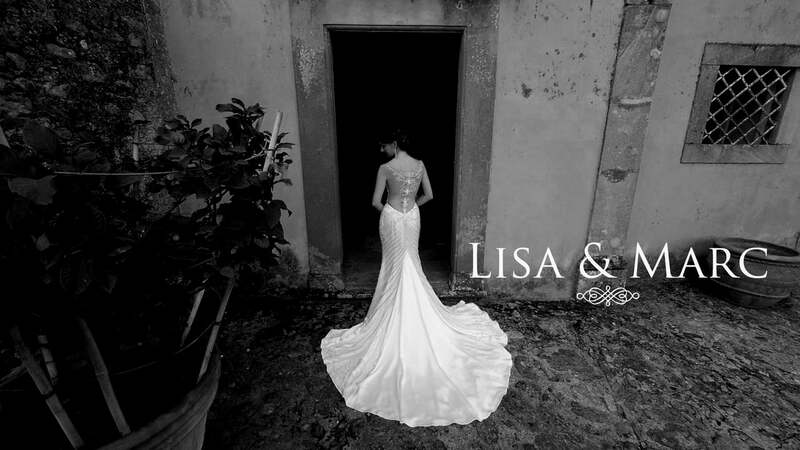 Lisa and Marc wanted their destination wedding in Italy to be filled with beautiful scenery, good food and great wine. They rented Villa Controni, a 19th century luxury Villa located in the heart of a wine estate close to Lucca. It was the ideal place to accomodate a large group of friends traveling together from US to Tuscany for this amazing destination wedding! With its terraced hills, camelia gardens and olive groves this place was also a great source of inspiration for us wedding videographers. For the wedding video shooting we could take advantage of the beautiful surroundings of the Villa, the Italian gardens and the luxuriant lawns. 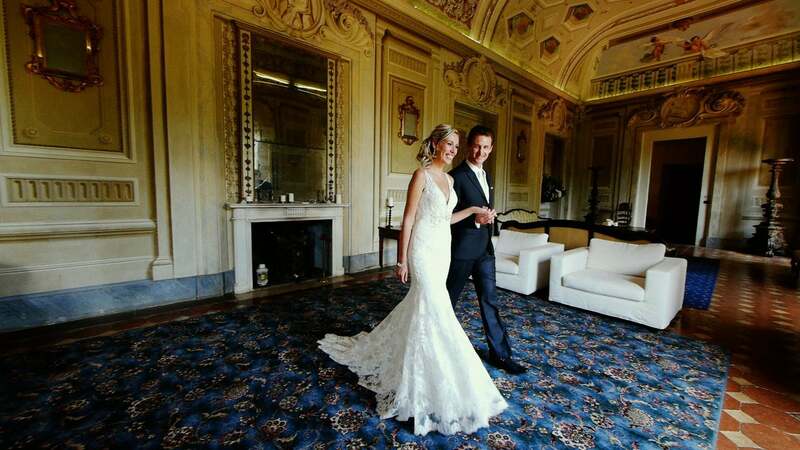 Lucy and Pierre from Dubai chose to celebrate their destination wedding in Italy at fabulous Villa di Maiano. This luxury Villa dating from 15th century is immersed in the green of the Tuscan hills overlooking Florence. It is well known as James Ivory filmed here some scenes from "Room with a view". The wedding ceremony took place in the one of the luxuriant gardens of the Villa, decorated with classical white and blush roses. The gorgeous terrace was the perfect scenery for an Italian aperitivo: all the guests could enjoy the magnificent view over Florence and over the Tuscan countryside. We are on Style me Pretty today! Some months ago Tanya from Kibogo Photography asked us to be the videographers of this amazing inspirational shooting at Villa Ca' Vendri in Italy. The idea behind this project was to propose a very natural, organic and ethereal look for the brides-to-be who are planning their destination wedding in Italy. Natural tones with a gentle touch of blue, cascading greens and dreamy linens: this is the very essence of this romantic inspirational shooting. We are so proud that this gorgeous styled shoot has been published on the exclusive wedding blog "Magnolia Rouge" today! It has been a great pleasure to be part as videographers of a great team of talented vendors. Tanya from Kibogo Photography and Simone Gebsattel, a wedding planner from Germany, worked hard to plan this amazing wedding boudoir at Villa Ca' Vendri in Italy. We enthusiastically embraced this project. We love everything of this bridal boudoir: the soft feel, the unique and elegant details, the enchanting atmosphere of this timeless Villa. We're finally back with a brand-new wedding film on our website today! You can't miss this gem of a wedding we filmed in Italy on the Amalfi coast: how not be madly in love with our supermodel bride from New York in her Pnina Tornai wedding dress and Louboutin shoes, and her stylish, intimate wedding at Palazzo Avino and Belmond Hotel Caruso in Ravello on the Amalfi coast? If you are dreaming of a destination wedding in Italy, you can't miss our latest wedding film at Villa le Fontanelle! Joanne and Joseph from Honk Kong traveled to Italy with seventy eight guests from all over the world to celebrate their dream wedding. For the wedding ceremony they chose a Gothic revival church dating from the 19th, St James Episcopal church, in the heart of Florence. Alexa and Efrain from US chose to celebrate their wedding in Italy in the beautiful town of Taormina on the Italian island of Sicily. For the first time as wedding videographers in Italy we've had the opportunity to work in Sicily for a wedding. It was amazing! The wedding ceremony was held on the top of the ancient borgo of Castelmola and soon after we started the wedding video session through the streets of the historical centre of Taormina. The day ended at Villa Antonio where Alexa and Efrain could enjoy together with their guests a typical Italian dinner, followed by freshly made gelato. Villa Antonio is a stunning location in Sicily with its breathtaking view over the famous Isola Bella. This Indian wedding at Castello di Montegufoni in Tuscany will leave you speechless! Shanthi and Gerard are a lovely American couple who fell in love with the sunny Tuscan hills and the Italian warm hospitality. Having all their families around the globe was another reason to go for a destination wedding. One year ago we were filming this big international wedding in the heart of the Tuscan countryside. What an incredible fusion of Persian, Chinese and Danish traditions! Starting with the traditional Chinese tea ceremony, followed by the sofreh aghd, the traditional Persian spread, ending with the Danish waltz, Samira and Nicolai wanted their wedding to be a real multicultural celebration. 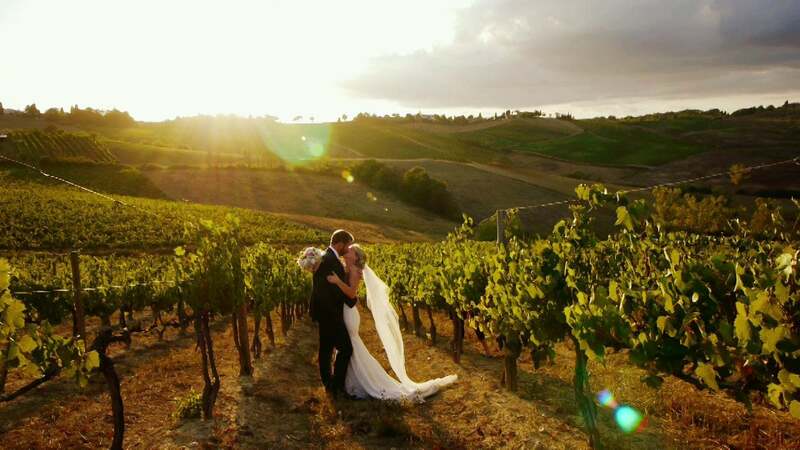 Antica Fattoria di Paterno offered an unforgettable scenery for this perfect wedding in Tuscany. Nestled among Tuscan hills, just some km from Florence, this luxury Villa can boast an elegant architecture and a breathtaking terrace with a panoramic view over the Chianti vineyards. After 10 years together Craig and Sharlene tied the knot in the most magical city in Italy, Florence, surrounded by the love of their families and closest friends. 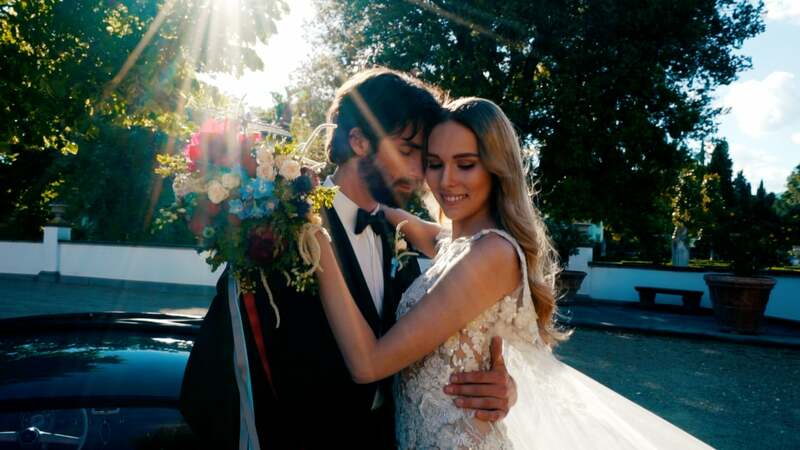 Their beautiful wedding was set in Villa La Vedetta, an absolutely unique location in Tuscany for its exclusive panoramic position near Piazzale Michelangelo and its breathtaking view upon the city of Florence. Just consider that their wedding dinner took place on the marvelous terrace of Villa La Vedetta with the Duomo of Florence in the background! Our love for the Amalfi coast is a never-ending story! This is just a glimpse into Moeko and Martin's wedding filmed both in Amalfi and in the romantic gardens of Belmond Hotel Caruso in Ravello. So excited to be returning there as well as to the spectacular Villa Cimbrone during the next wedding season which is approaching so quickly! Check out our last destination wedding video on the Amalfi coast! We are in love head over heels with this countryside wedding in Tuscany! Francesca and Steffan from England chose to celebrate their wedding in a exclusive historical house amidst the Tuscan hillsides, close to Florence, Siena and Lucca. Resort Borgo di Colleoli was originally a medieval castle developed over the years to become an aristocratic villa and estate. Nowadays renovation work was carried out to the frescoes so that the Borgo eventually became an elegant country retreat. 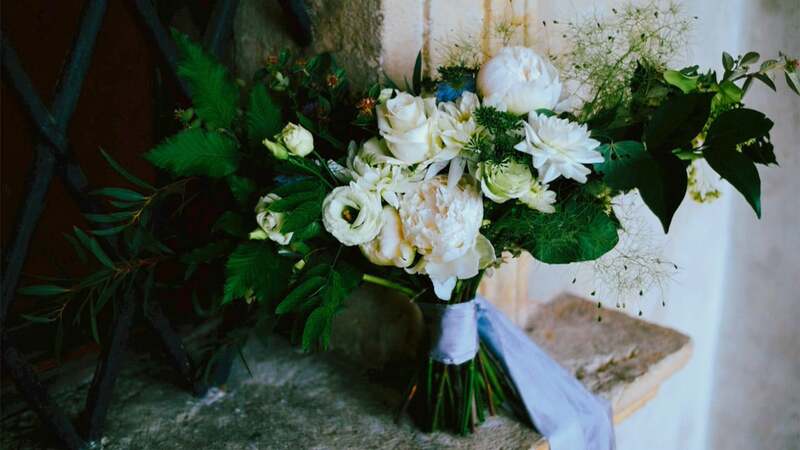 Francesca and Steffan's simple elegant decor enhanced the natural beauty of the Tuscan countryside: white roses and olive branches were the perfect choice for a chic rustic wedding in Italy! 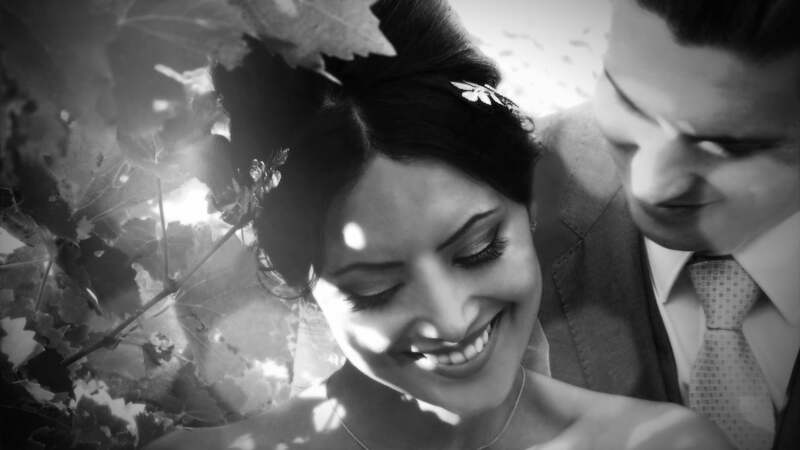 Shaleeza and Adil from London chose the Amalfi coast for their destination wedding in Italy. We felt so honored when we were chosen to be the wedding videographers of these two days of extravaganza in one of the most impressive venues in Italy, Villa Cimbrone in Ravello! Villa Cimbrone is a historical building on the Amalfi coast built in the 11th century: it is perched on a rocky outcrop and is well known all over the world for its spectacular belvedere surrounded by marble statues. This belvedere is called the Terrace of Infinity and makes this venue so unique and incomparable in Italy! From here, the view is definitely breathtaking! This young couple from Germany planned their destination wedding in Tuscany with a rustic country chic touch. They wanted their wedding day to be intimate, cozy and fuss-free. Villa La Capitata, a traditional mansion immersed in the Tuscan countryside, was the venue of their dream: with its beautiful view upon the vineyards and the olive groves of the Chianti valley, was the spot of peace they were looking for. A small group from families and friends joined them for their wedding celebrations. An incredibly rainy day from the beginning to the end didn't stop all the fun in this sophisticated American wedding in Borgo Santo Pietro, the most beautiful hidden gem in Tuscany! It's always a pleasure for us wedding videographers to shoot a wedding film in this amazing luxury relais. Located in the heart of Tuscany, Borgo Santo Pietro is a huge oasis of peace where nature meets luxury. 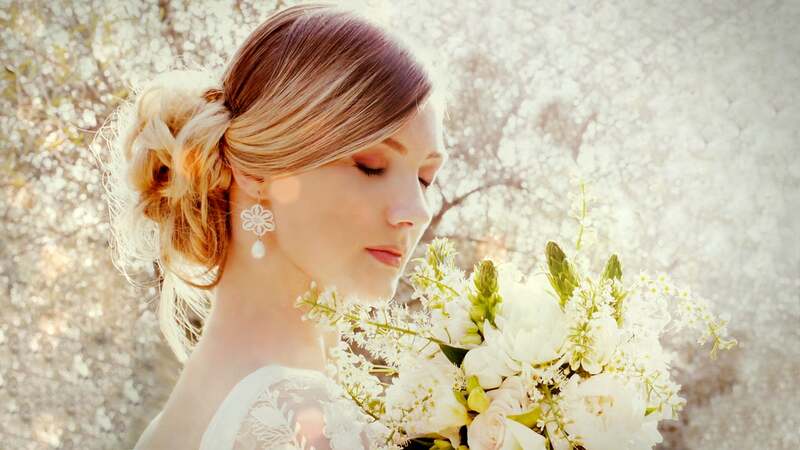 It is hard to imagine something more romantic than an elopement to Florence on a sunny spring day! Jillian and Tony from US chose us as their wedding videographers for their special day. We had the great opportunity to film their intimate wedding in order to make a big surprise to their friends and family once back home. The symbolic ceremony was celebrated at Hotel Torre di Bellosguardo: this incredible venue offers a breathtaking view over Florence. We loved everything of Jillian and Tony's wedding: the relaxed wandering through the streets of Florence, their beautiful connection and the stunning modern look they gave to their elopement. 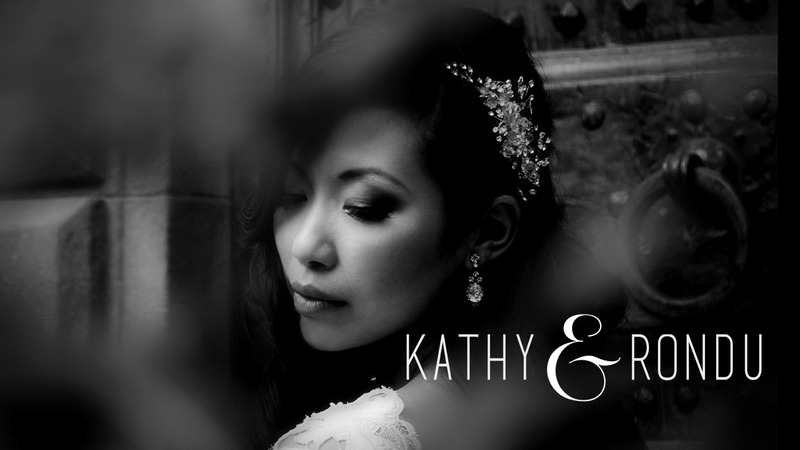 Kathy and Rondu were an adorable couple to work with as their wedding videographers! 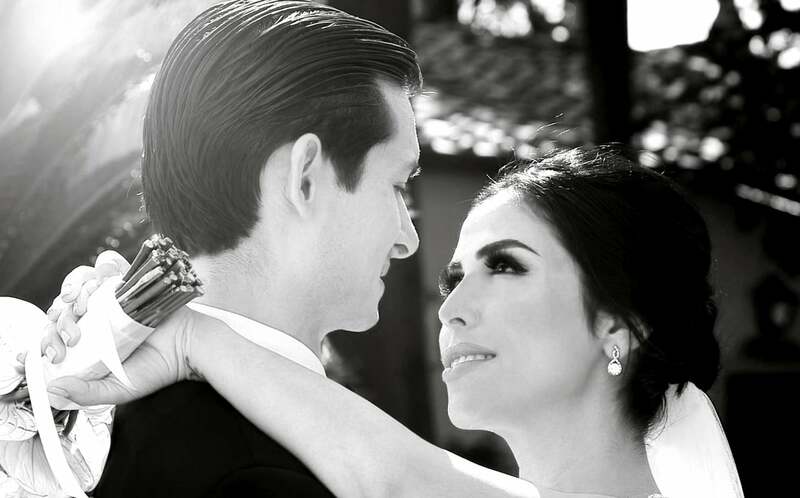 The joy and love they share the day of their wedding just radiated from them, creating an emotional and intimate celebration: the wedding vows they wrote were so intense and moving that everyone shed a tear during their wedding ceremony. The Renaissance Castello di Vicchiomaggio was an enchanting location for the beautiful spring wedding in Tuscany Kathy planned. Located on top of a Tuscan hill, in the heart of the Chianti Classico region, Castello di Vicchiomaggio dominates all the vineyards of Greve Valley. The castle was enriched by the golden details and the soft blush accents of the decor. It is a truly honor to see our short film for the inspirational shooting "The Italy Experience" featured today on the renowned wedding blog "Wedding Chicks"! 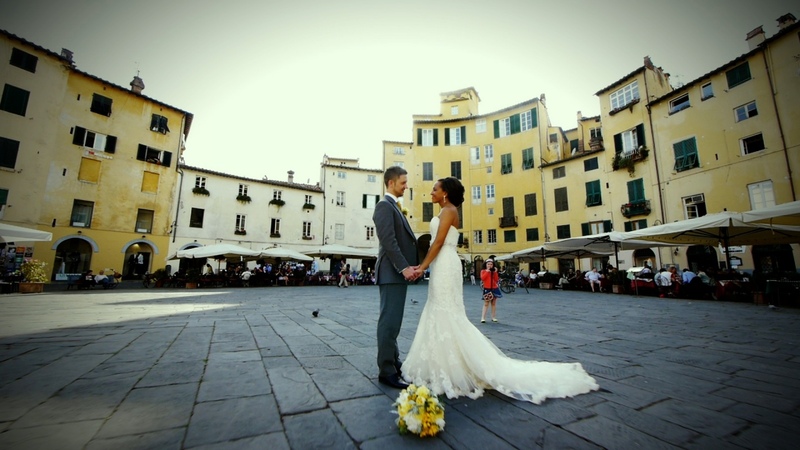 Our 2015 wedding season started with a destination wedding in Italy we fell head over heels in love with! Jamee and Anthony, an adorable couple from Australia, crafted every detail of their rustic chic wedding in Tuscany with the help of their closest friends: it was incredible to see Anthony build the wedding arch just a few hours before the wedding ceremony started! A few months ago we were lucky enough to be asked by Tammy & Luc, the talended cake designers of the famous brand Sugarlipscakes, to be their wedding videographers for their intimate destination wedding in Radicondoli, Tuscany. The wedding took place in Colletalli, a peaceful ancient Tuscan farmhouse in the very heart of Tuscany, conveniently located within 1 hour from Florence, Siena, San Gimignano and Volterra, and just 10 minutes from Radicondoli. What an incredible wedding day! Eight friends, a truly romantic setting, a picnic with pastel decors and delicious Italian food were the perfect mix of pure joy and handcrafted charm. This enchanting wedding has blown our mind! 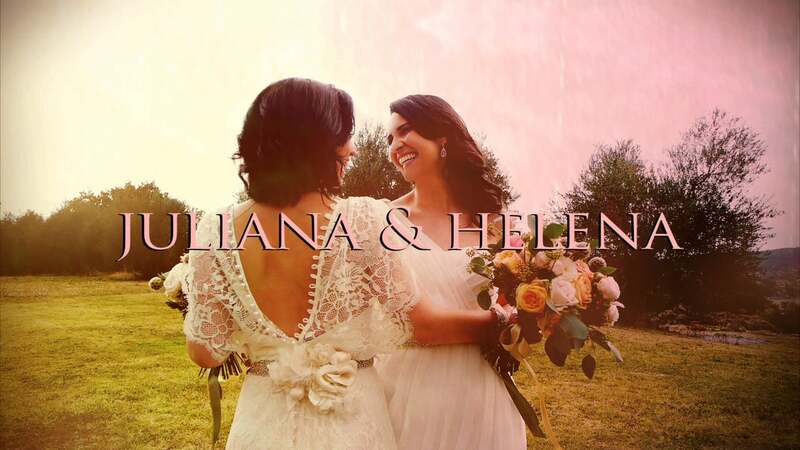 Juliana & Helena have put all their heart and soul into their destination wedding in Italy, and the result was truly magic. The venue they chose, Terre di Nano, is a 19th century farm surrounded by vineyards, olive groves, rolling hills and woods. It is located in one of the most enviable areas of southern Tuscany, Val d'Orcia, a splendid region declared part of UNESCO patrimony. The wedding ceremony, based on Celtic premises, was officiated by Helena’s sister: it was completely tailored around the couple’s wishes and ended with a flash mob of all the guests dancing. It was really fun! Starting with the exquisitely beautiful bride’s vine inspired headpiece, to the crystals in her Miu Miu heels and the intricate lace in her stunning wedding gown, every single detail of this classically sophisticated destination wedding in Italy is beyond dreamy and will leave you speechless. 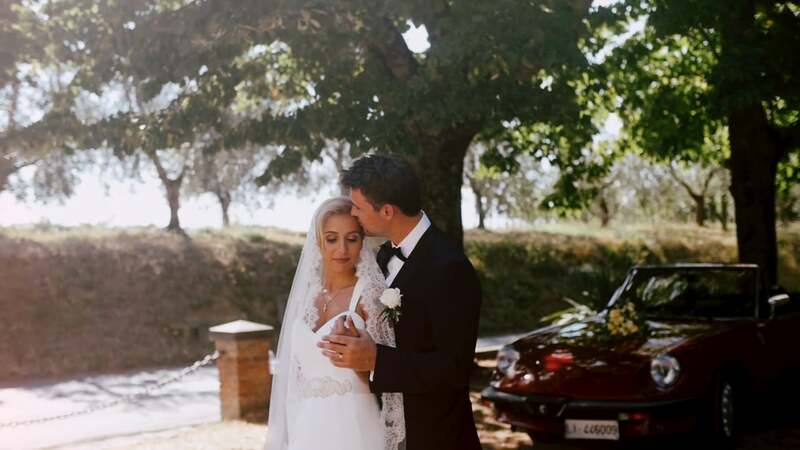 This gorgeous couple from London fell in love with the effortlessly beautiful rolling hills of the Chianti region in Tuscany and chose this wonderful scenery for their wedding in Italy. 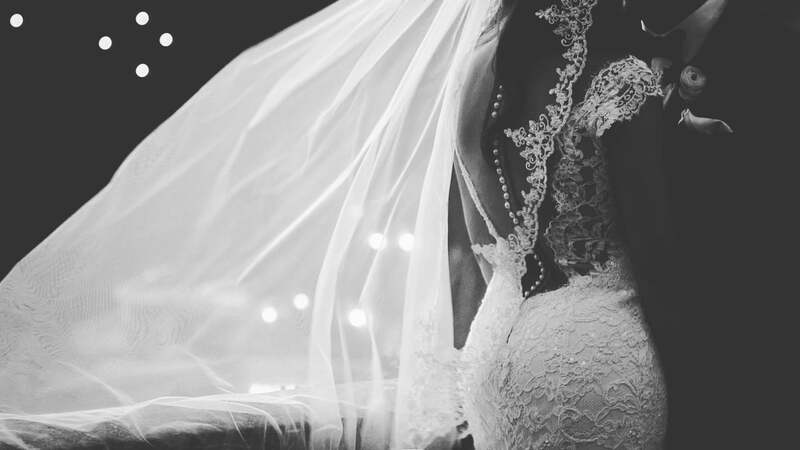 A beautiful model from Indonesia, an intimate religious ceremony in an isolated church in the Tuscan countryside, an elegant wedding party with guests from all over the world in one of the most amazing castle in Tuscany, Castello di Vincigliata: check out our latest ‎wedding video for the most romantic couple ever! 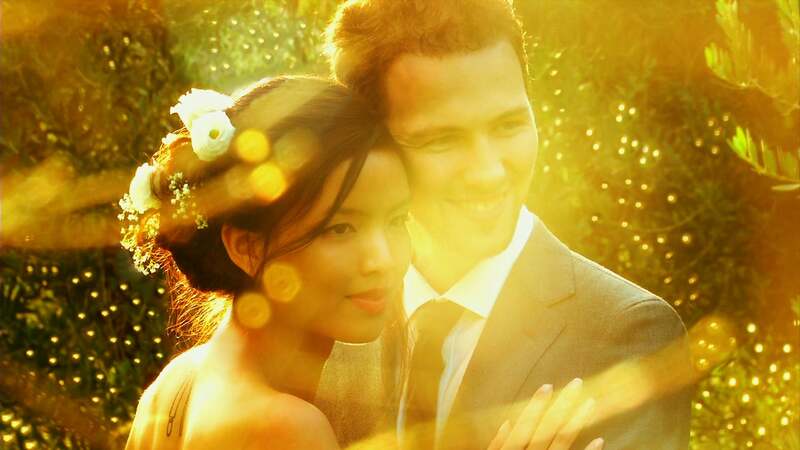 Laurencia and Matteo from Jakarta decided to tie the knot in Italy. As Matteo is originally from Florence, their choice was Tuscany, of course; in particular, they went for a luxury location, Castello di Vincigliata, a romantic castle in Fiesole plunged among the Tuscan hills. 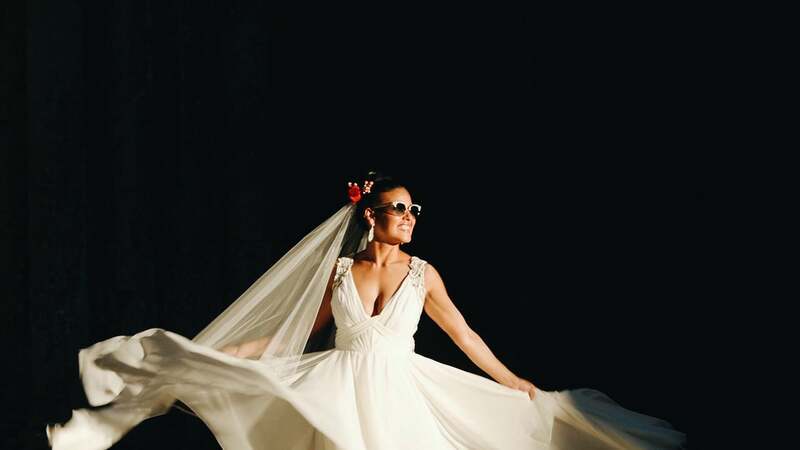 Laurencia and Matteo's wedding film is full of love, passion and fun. Don't miss it! 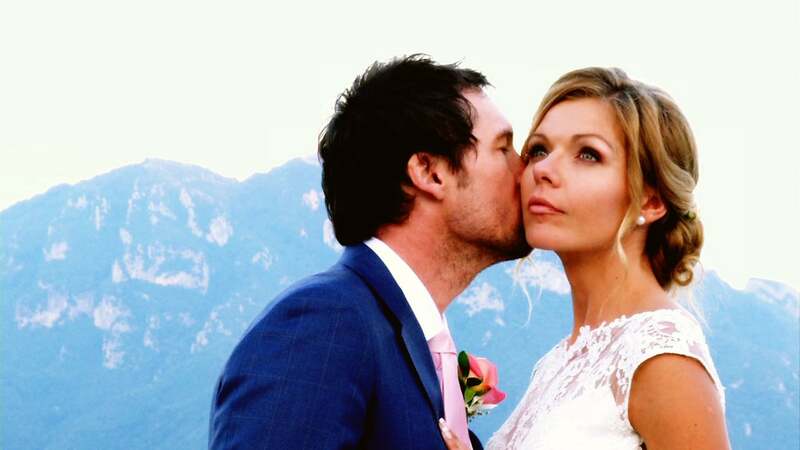 There's only one way to describe Alex and Ben's wedding in Italy: a fairytale wedding. 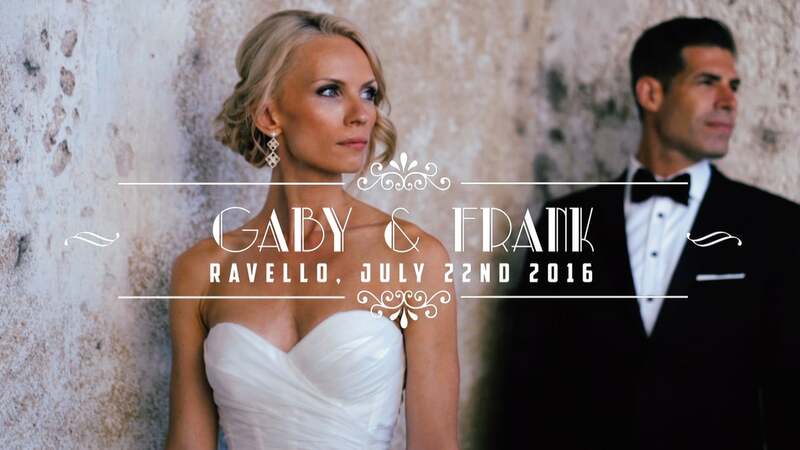 This gorgeous couple from Australia chose a small picturesque jewel on the Amalfi coast to celebrate their wedding: Ravello, truly a spot of heaven on earth! 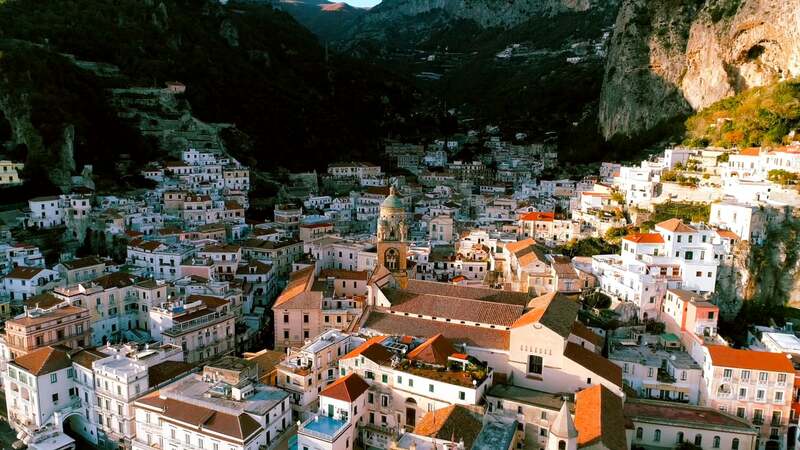 Stuck between mountains and sea, with its dramatic view on the Amalfi gulf, it's the location that every wedding videographer dreams to shoot a wedding video in. This elopement to Tuscany has blown us away! 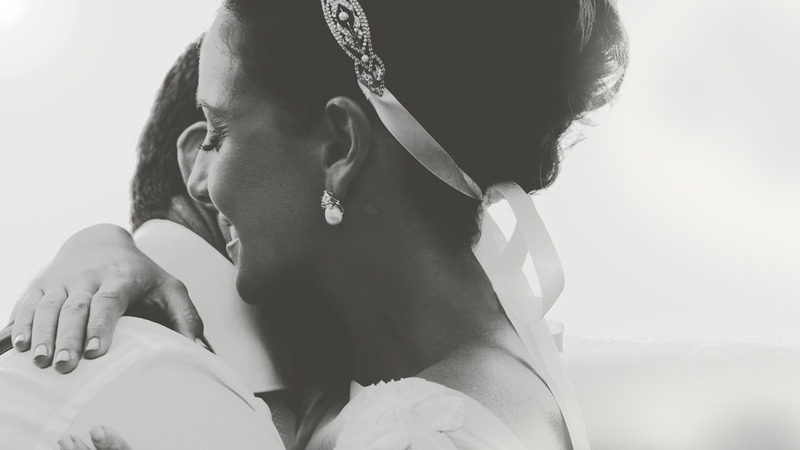 We barely choke back tears when we heard the moving words that the bride and groom said to each other during their wedding ceremony. Donna and David are from Melbourne, Australia; for their wedding they decided to elope to Italy. They chose Borgo Santo Pietro, a luxurious Relais in Tuscany placed just 30 km outside Siena and nestled in the heart of the Tuscan countryside. It was just the two of them pronouncing their wedding vows on a small lake surrounded by willows and immersed in an intimate and suggestive garden. It was so touching! When you adorn a perfect beauty with a romantic Claire Pettibone lace wedding dress, a pair of Louboutin shoes and a silk pink and purple flowers bouquet - the result leaves everyone speechless! For their destination wedding in Italy, Caroline and Henry from England chose Modanella, a small Tuscan village dominated by the well-preserved 12th century castle. Situated in the Tuscan countryside, close to Rapolano Terme, Siena and Arezzo, this village is reknown for retaining the appearance of the real fortress. The surrounding is spectacular as well: the landscape is dotted with typical Tuscan farmhouses and rows of verdant vineyards stretch out as far as the eye can see. This sunny couple from London chose to celebrate their destination wedding in Italy surrounded by the warmth of all their loved ones. They chose a spectacular venue in Tuscany: Villa Bernardini. Nestled amongst Tuscan hills, this 16th century luxurious Villa is perfectly preserved and can boast a park more than 19 acres wide. The wedding ceremony was set in the verdant garden in front of the Villa and was enriched by the romantic grey and yellow decor. Tracy was shining in her elegant lace wedding dress and her arrival on a silver Bentley car was a breathtaking moment for all the guests. 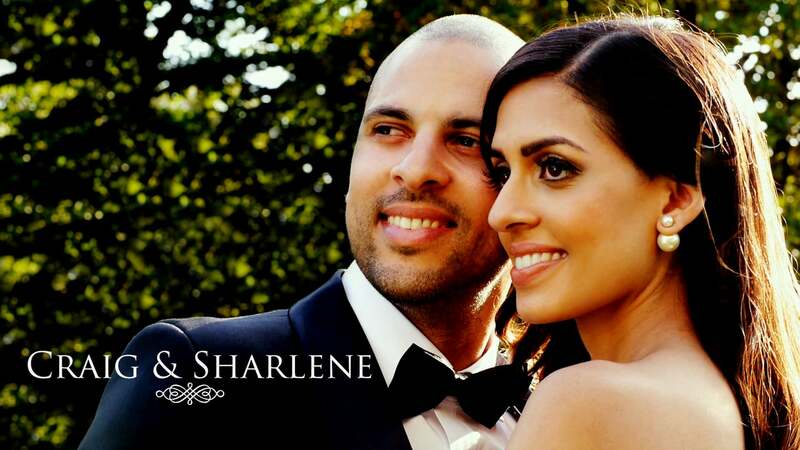 We adore this elegant couple from New York! We swoon over every choice they made for their wedding in Italy: they were so glamorous and stylish! Castello di Vincigliata in Fiesole is one of the most romantic and suggestive venue for a wedding in Tuscany. Perched on the Tuscan hills, located just a few km from Florence, it provided the ideal scenery for every moment of Kristan and Brent's wedding: a bloomy garden for the ceremony and the cocktail hour, a fabulous courtyard for the wedding dinner, a breathtaking balcony and a terrace with a spectacular view over Florence for the wedding party! For all the brides-to-be who are thinking of eloping to Italy with their beloved: here's a great wedding inspiration for a private and intimate ceremony in Tuscany. There’s so much history, art, tradition, and fabulous architecture in Florence that this city is considered one of the best destination wedding locations not only in Tuscany but all over the world. Every wedding videographer wish he could shoot a wedding in Florence once in his life! Kara and Shane planned every detail of their destination wedding in Italy with great taste, style and some stroke of genius. Everything contributed to the spell: from the venue, the fabulous Castello di Vincigliata, a breathtaking medieval castle in Fiesole immersed in the enchanted Tuscan countryside, to Kara's stunning wedding dress, to the pale pink flower decor, and to the pervasive, warm feeling of joy and love. Let's start the new wedding season with a very special elopement to Tuscany: a romantic elopement to a magical city, Florence. As Italian wedding videographers based in Tuscany we have a penchant for shooting weddings in Florence! 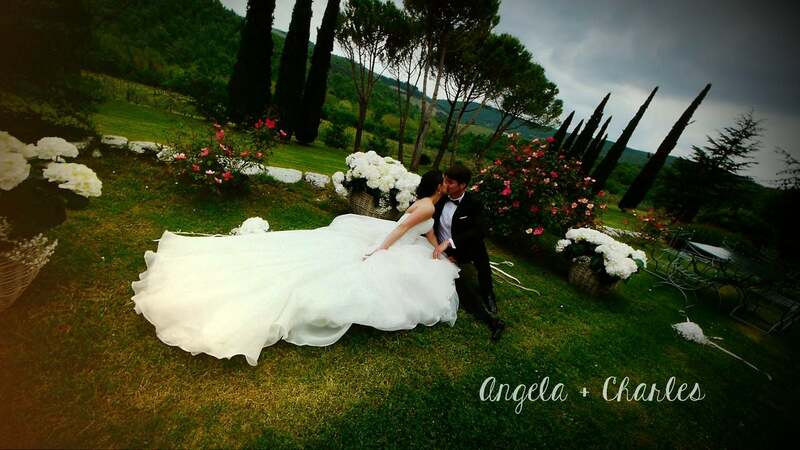 April & Andy decided to skip the big wedding celebrations and chose to get married during their holiday in Italy. 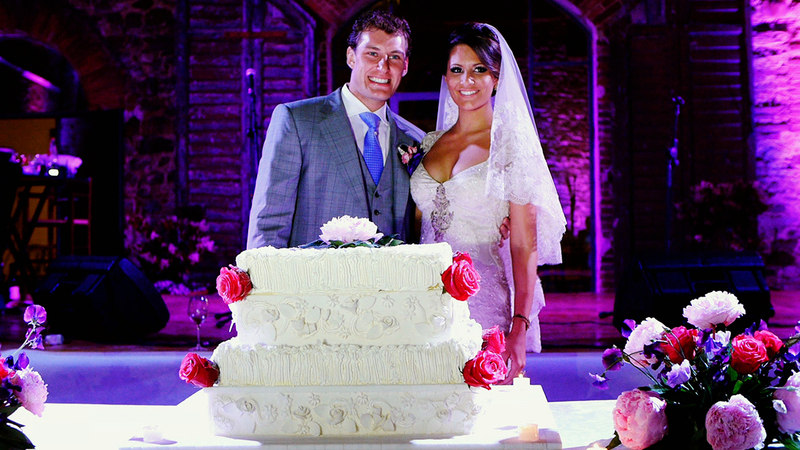 Their first aim was to celebrate their wedding with a personal and intimate ceremony and to have a lot of fun! 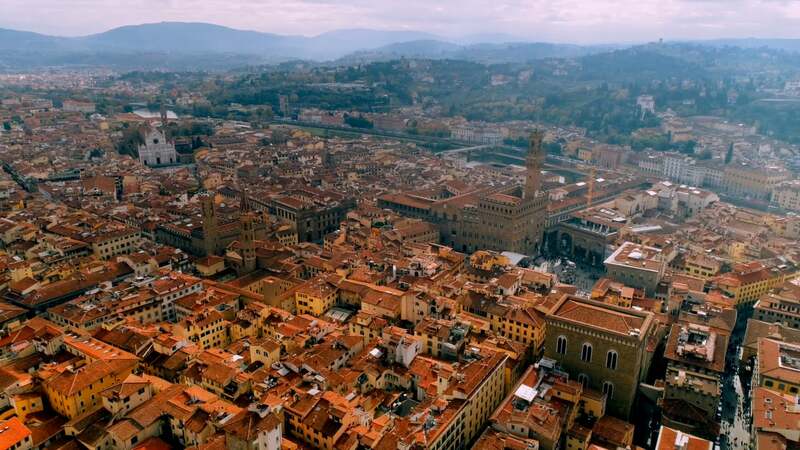 Hotel Torre di Bellosguardo in Florence is an incredible location for weddings in Tuscany: thanks to its perfect position, it offers a stunning view over Florence and a wide variety of spots for the wedding video shooting. 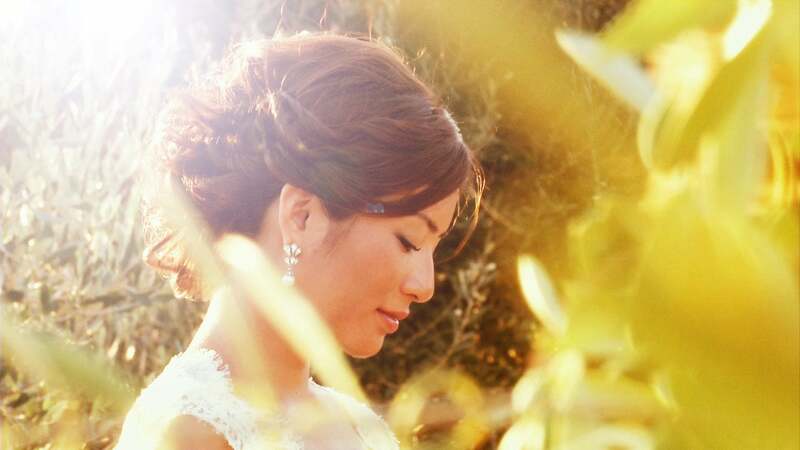 A destination wedding in Italy: what a great way to bring together family and friends from Japan, US and Singapore! 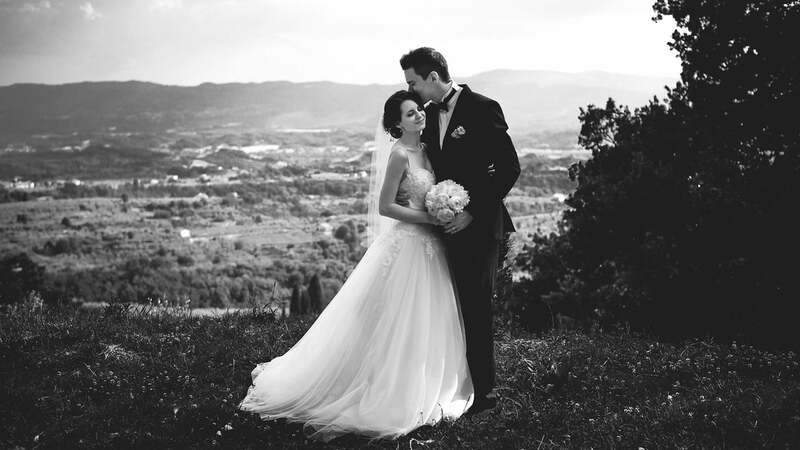 For their wedding in Italy John & Chisato chose Villa Il Poggiale, a stunning location in Tuscany. 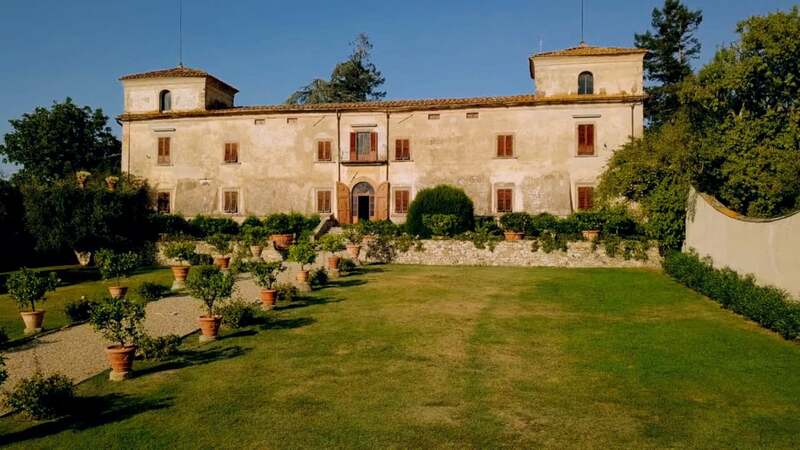 As wedding videographers in Italy we recommend this authentic Reinassance mansion located in the heart of the Chianti wine-growing area, San Casciano Val di Pesa, just a few Km from Florence. It's the perfect combination of historical Tuscan charm and rustic heartwarming surroundings. The symbolic ceremony was held in the fabulous garden in front of the Villa. The ceremony ended with the newlyweds walking down the aisle surrounded by soap bubbles blown by their guests. Catherine & Philip from Melbourne, Australia, were inspired to create the perfect Tuscan wedding imbued with warmth, sentimentality and fun. They fell in love with the typical rustic Tuscan style of Tenuta di Corsignano, a farm immersed in the Tuscan countryside of the Chianti region. 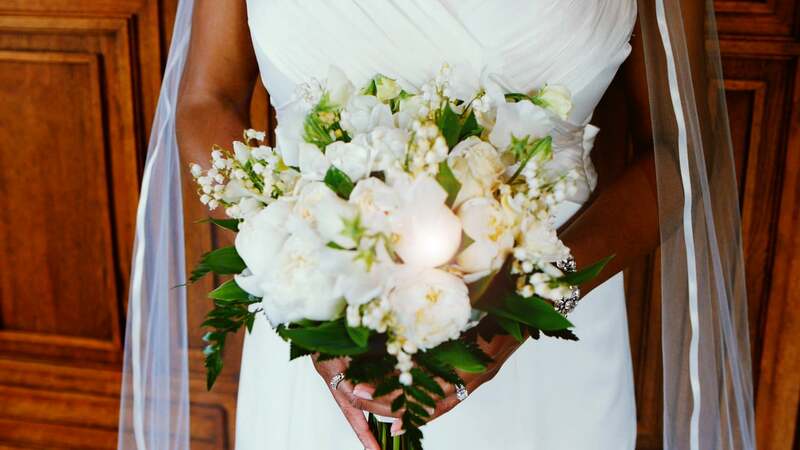 The wedding planners Ann and Elizabeth from Original Tuscan Wedding worked hard to design Catherine and Philip's perfect wedding, a special day infused with elegance and ease. 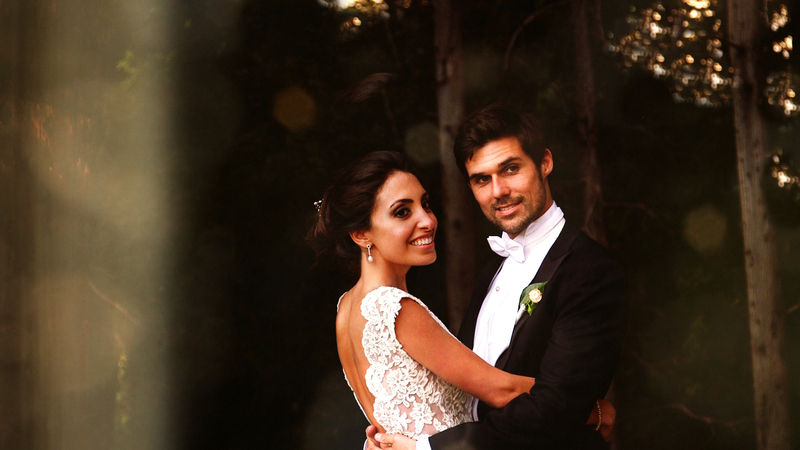 Renee and Richy from NY chose to celebrate their wedding in Italy in a glamorous style! 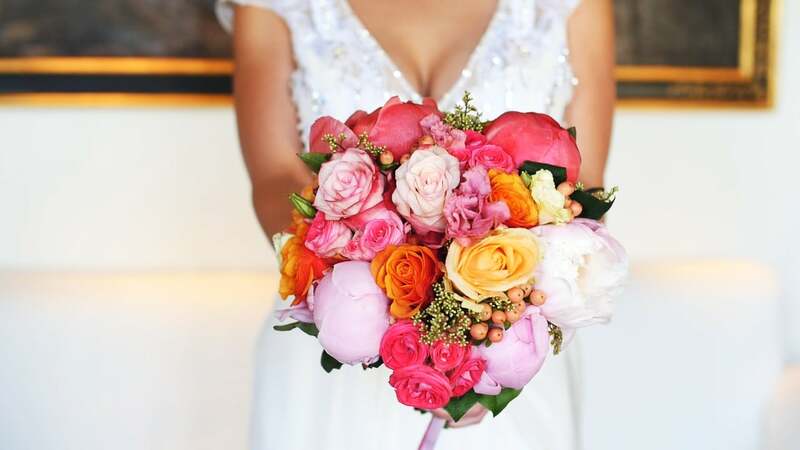 They hired Hotel 500, a contemporary venue just outside Florence, the city where they first met each other.The chic garden in front of the hotel with its stunning fountains and pink roses decor was perfect for the symbolic ceremony. The dress code was strictly black and white. The bride went for a fancy pink and black Vera Wang wedding dress, perfectly matching with her Jimmy Choo golden high heels. The wedding video shooting took place in a small chapel nearby the hotel. A retro car and a "vespa" were placed in front of the main entrance for the last night shots. Another wonderful castle wedding in Tuscany, another sweet lovely couple, another dream comes true! Luiza & Marco are without doubt one of the funniest couples we met this year and it was a pleasure for us to shoot their dream wedding in Tuscany! They organized a big wedding party in the courtyard of Castello il Palagio, an ancient military stronghold in the heart of the Chianti region, just 17 km from Florence, near Mercatale. This castle is located on the road to Siena through nine towns of the Chianti Classico area: Tavarnelle Val di Pesa, Greve in Chianti, Gaiole in Chianti, Radda in Chianti, Castellina in Chianti, Barberino Val d'Elsa, Castelnuovo Berardenga. Sara and Jonathan, from London, celebrated their destination wedding in Italy at Antica Fattoria di Paterno (Montespertoli, Tuscany), a Tuscan paradise on the Chianti hills. We felt so special when they chose us as their wedding videographers! 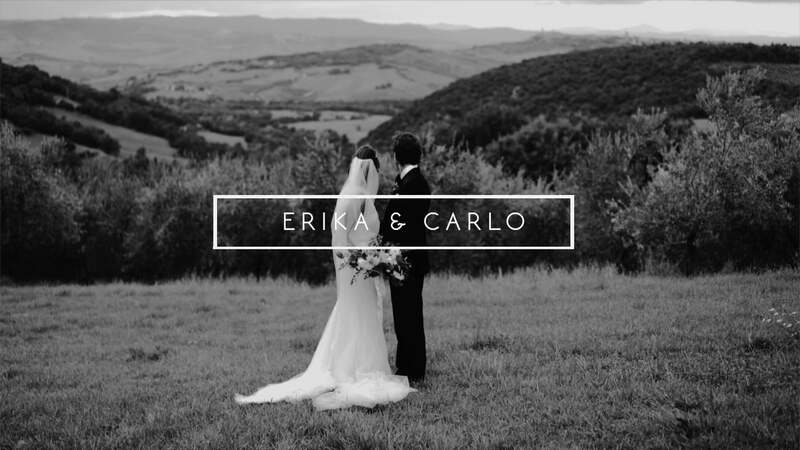 A fairytale wedding film in Tuscany on a cloudy spring day! Angela & Charles from Denver, Colorado, celebrated their destination wedding in Italy in an exclusive castle in the heart of Chianti Classico wine region, Castello di Spaltenna. If you believe that rain could ruin your wedding day, check out Angela and Charles' wedding film: they kept on dancing in front of the castle, we are not sure they even noticed the rain outside. 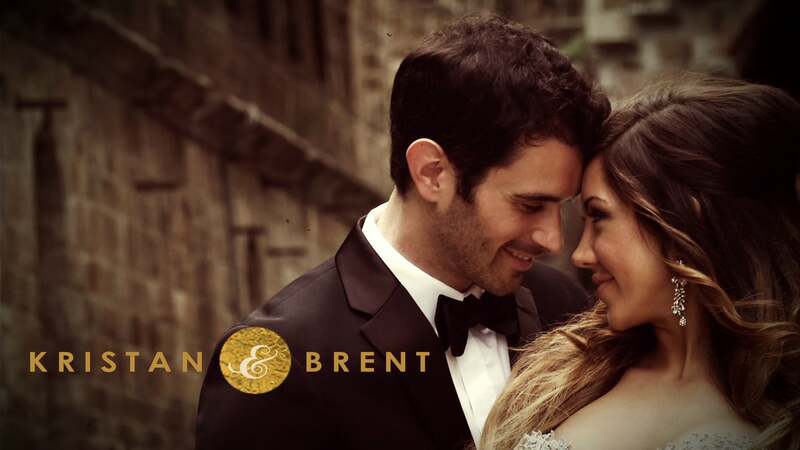 Enjoy their wedding video! A rock wedding in Dubai. 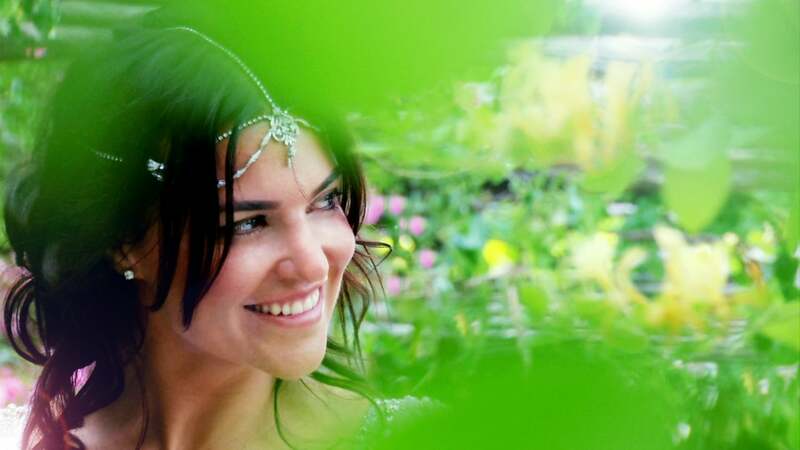 A breathtaking performance of Gattotigre for Girlie & Mirco's rock wedding in Dubai! A pink limousine, a stunning skyline and an oasis in the desert: the perfect combination for an exotic wedding party in one of the most elegant cities in the world. For a destination wedding videographer is always a great challenge to shoot a wedding abroad. We are really happy that Mirco and Girlie chose us to document their big day and we put all our efforts to make their wedding film unforgettable. Have a look at their wedding trailer!